I set up Hey Siri on my iPhone 6s yesterday. Since my device is an iPhone 6s, I was supposed to be able to activate Siri by saying Hey Siri without connecting to a power source. Setting up Hey Siri was very simple. However, I found that Hey Siri was not working properly. I was saying ‘Hey Siri’ or “Hey Siri, it’s me” to activate Siri, but Siri was not responding. There can be several things that can cause the Hey Siri feature to stop working. 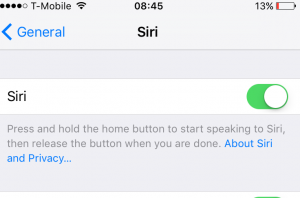 This article explains how to troubleshoot problems with ‘Hey Siri’. “Hey Siri” requires an iPhone or an iPad plugged in to a power source. This is to prevent draining battery life. 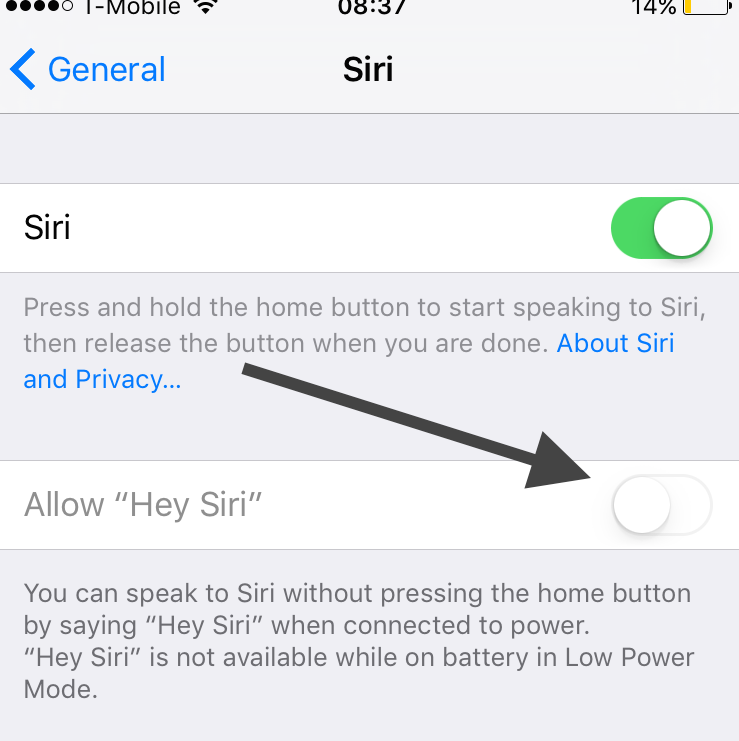 However if you have an iPhone 6s and an iPhone 6s Plus, you can use Hey Siri whether or not your device is plugged in. This means that you need to plug your device in to power before you can use Hey Siri; unless you have an iPhone 6s and an iPhone 6s Plus or later models. Hey Siri is turned off by default. If Siri can’t hear you, she will not help you. You may be having microphone issues. Make sure that your microphone is not covered. For instance, you protective phone case may cause problems preventing Siri from detecting voice feedback. You may want to test your microphone. You can test your microphones simply by recording a video using the built-in camera app. If your video recording sounds weak, Siri may not be able to hear you. Try removing your case. Try also clearing any debris. 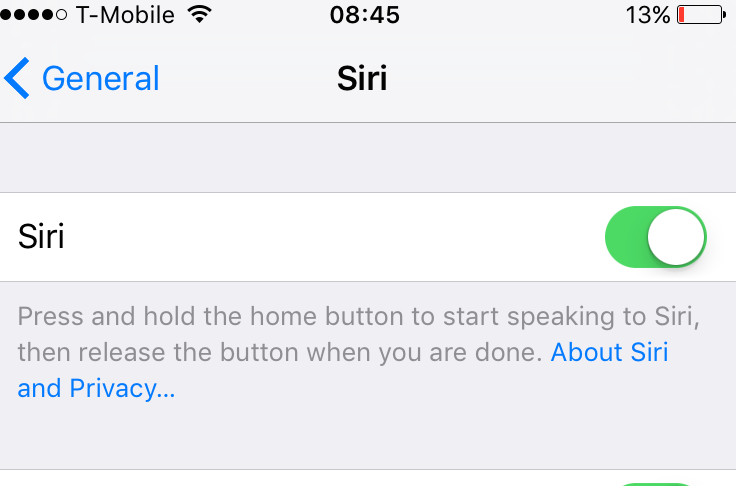 Go to Settings > General > Siri and check if Siri is enabled. If Siri is turned on, turn off, wait a few seconds and turn back on. 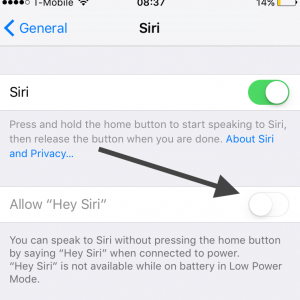 As stated above, Hey Siri is turned off by default, make sure that Hey Siri is enabled on your iPhone or iPad. 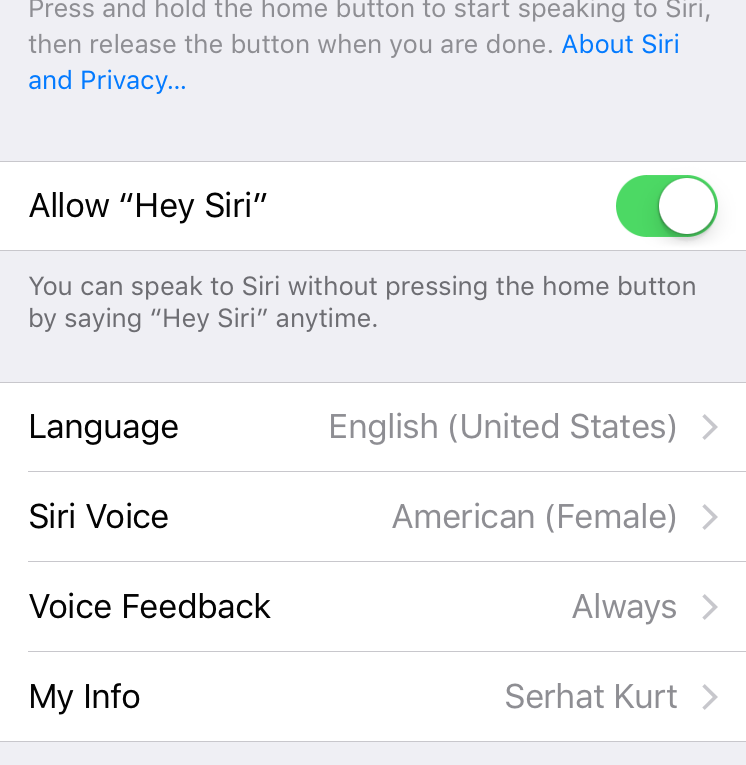 Go to Settings > General and Siri and turn on Allow “Hey Siri”. 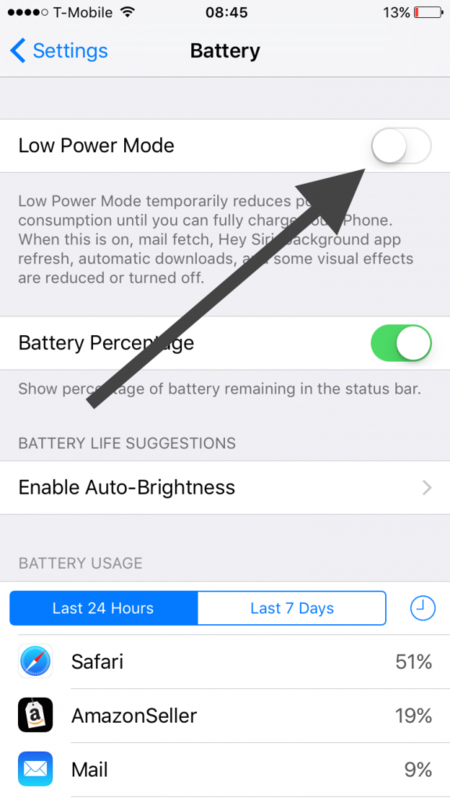 One important note that Apple introduced Low Power Mode with iOS 9 to extent the battery life of iPhone. Low Power Mode automatically optimizes device performance, when it is turned on. 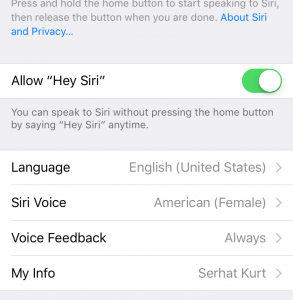 One of the optimizations includes disabling Hey Siri. If this is the case, If you can’t turn on Hey Sir because the setting will be grayed out or dim. Go to Settings > Battery and switch off Low Power Mode. Ensure that you have the latest version of iOS. Apple continuously releases iOS updates to improve your device’s performance. You may check if you have the latest version of iOS by going to Settings > General > Software Update. Does your iOS device have an Internet connection? Siri requires an Internet connection to function. Make sure that your iPhone (iPad) has an active Internet connection (Wi-Fi or cellular connections). Simply restarting your device my fix your Hey Siri issues. Press the home and sleep/wake buttons together until you see the Apple logo. Settings>Touch ID & Passcode scroll down to ‘Allow Access When Locked’ and make sure ‘Siri’ is enabled. I turned mine off when hackers found a way to access your phone via Siri so until they have/had a fix for it, but forgot to re enable it, and spent days following the above fix as I wasn’t prepared to do a restore. Why in the world did Apple think this was a good idea? Not only did it disable Hey Siri but I also had to go through the entire set up as though it were a new phone to get Hey Siri to work. Not cool, Apple, not cool. I have tried all of the above and hey Siri still won’t work. It won’t even let me set it up. It won’t pick up my voice. Regular Siri works fine and everything else picks up my voice. But when I try to set up hey Siri, the sounds waves show that it’s not picking up my voice. My Siri can be summoned but doesn’t work at all (only very occasionally) and just KEEPS saying a version of “sorry, what was that?” before I’ve even given a command.